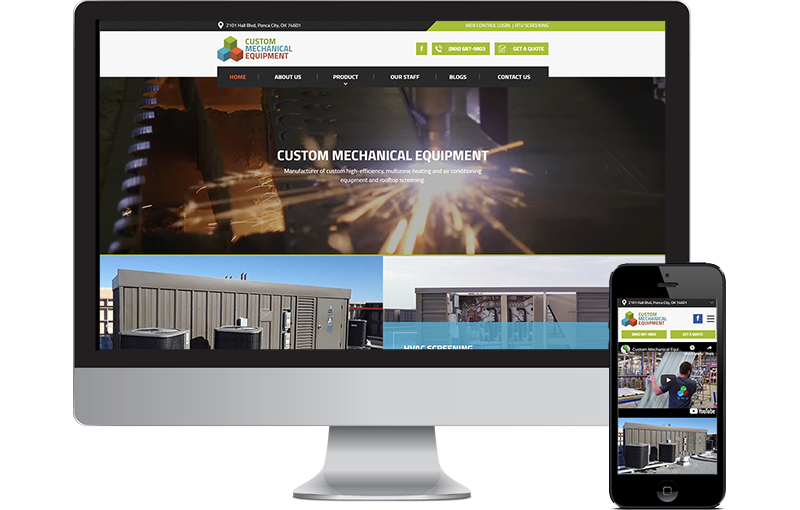 We built his fantastic website with our partners at BlueMatrix Media. CME is a manufacturing facility in Ponka OK. The make highly efficient rooftop / penthouse HVAC systems for commercial and government buildings. As you drive around Dallas you will see their work on many schools and commercial buildings. The facility in OK is amazing. This website was built from the ground up, starting with a Photoshop drawing that went thru a few iterations before being approved by the client.